In this article, we will see how we can log information or errors in Event Log using Nlog in NET Core Web API. Nlog is a useful tool for logging the errors and such information in the Event Log. 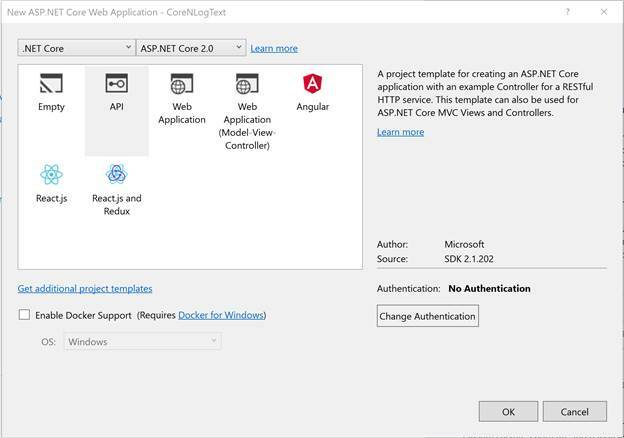 In here, let us see the process of using Nlog for error logging in .NET Core Web API. Select API as a template and click the OK button. Add the Nlog.WindowsEventLog NuGet package. Let's create an interface having each kind of different methods to store the logs like Debug, Warning, Information, Error etc. Implement the above interface in the class and also, get the CurrentClassLogger through LogManager of Nlog, i.e., logger. Initialize an instance of LogEventInfo with the log level type, loggername, and message. In the startup.cs, load the configuration for Nlog. For now, give the name like nlog.config and give the root path. In the next step, we will add this file and provide the configuration. Also, we need to add a singleton service of type Ilog with an implementation type LogNLog. In nlog.config, we need to configure two paths for logging. One is InternalLog and another is actual log which we want to write. So first, provide the internal log file path to the attribute internalLogFile and second, provide the actual path in the target. 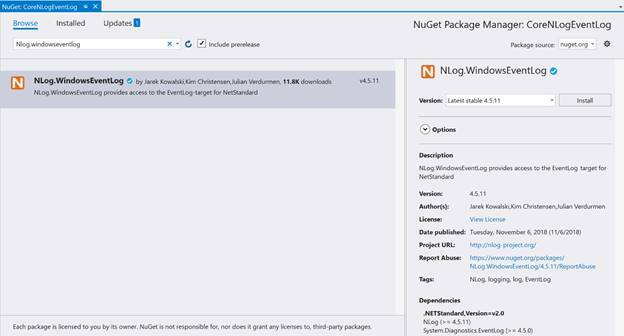 Add the assembly which we have added through NuGet package under extensions. Also, configure the rule where we are mentioning that Error as a minimum level and write to the EventLog. When we create a project with Web API, the values controller will be added with the default CRUD operation. So, let's use the GET method of that controller and try to add a log in the same. Here, we have called the debug kind of log methods from the Controller. Run the application and the GET method of values controller is called. We can see the result of the API. 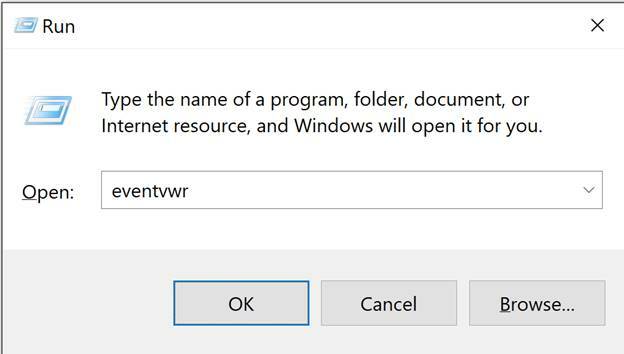 Open the "Run" window and type eventvwr which will open the Event Viewer. 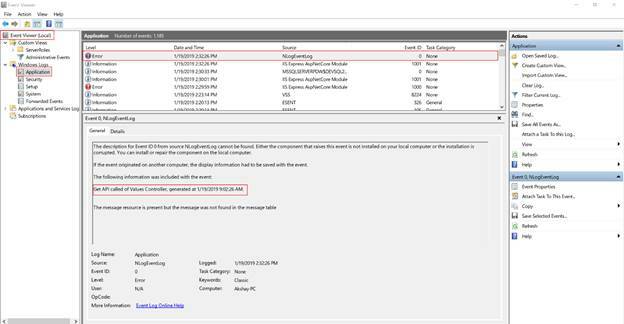 Select the application from the left panel and you can see your log highlighted as below. You can download the sample application from here.